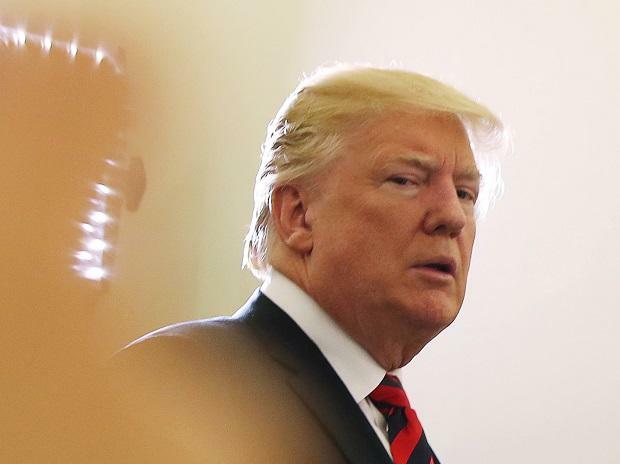 US President Donald Trump said the decision by India last year to cut the tariffs on motorcycles by half was a fair deal but rued the high duties on American whisky. At a White House event on the Reciprocal Trade Act on Thursday, Trump flashed out a green colour board that had examples of non-reciprocal tariffs from various countries. Trump pointed out to the high tariff by India on the import of wines. "India has a very high tariff. They charge a lot of tariffs. You look at whisky... India gets 150 per cent, we get nothing." India had last February slashed the customs duty on imported motorcycles like Harley-Davidson to 50 per cent after Trump called it "unfair" and threatened to increase the tariff on import of Indian bikes to the US. In his interaction with lawmakers at the White House, Trump said the Reciprocal Trade Act would give the US workers a fair and level-playing field against other countries. The US, he alleged, had been taken advantage of by many countries all over the world. "They charge us tariffs and taxes, the likes of which nobody has any understanding. They're so high and so unfair! They also have barriers where we can't go in. They have trade barriers that make it impossible for us to sell our farm products and our other products. Congressman Sean Duffy, who introduced the Reciprocal Trade Act, has granite from India among his global list of non-reciprocal tariffs.